1997 foal, US bred and raced. Won 7 races (from 12 starts) from 5f to 9f at 2-3yo. Won four from 6 at 2yo in 5f maiden, 6f & 6.5f Grade 3s and then the 8f Grade 2 Norfolk Stakes. Won three at 3yo between 6.5f to 9f with Grade 1 wins over 7f & 9f. 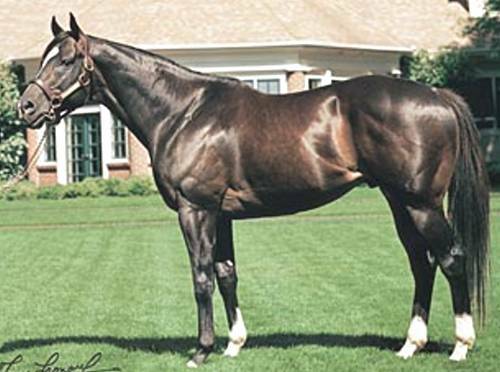 Stands at Lanes End stud at a fee of $40,000. 55 yearlings sold in 2005 for an average above $130,000. Only British raced 2yo before 2006 was Masa in 2004 for Godolphin who won a 6f maiden on her May 29th debut and started favourite for, but unplaced in, the Listed Albany Stakes at Royal Ascot. Two runners in 2006 wth Sander Camillo a 6f Group 2 winner and Minaash a 5f maiden winner.